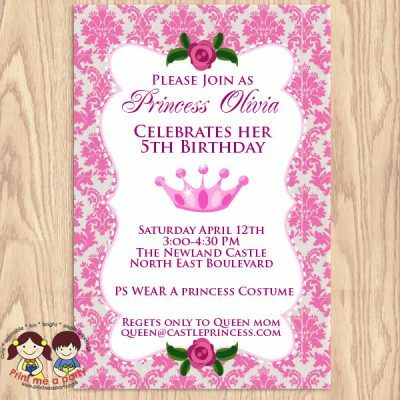 This week when I sat down to score through the past birthday party invitation designs that I have done , I came across photos of the latest princess party that I arranged. I loved arranging everything ! the party was fun to decorate because you know …. girls… all pink and everything in between…. I wanted to share the party pictures with you and also all the details on how I arranged it . 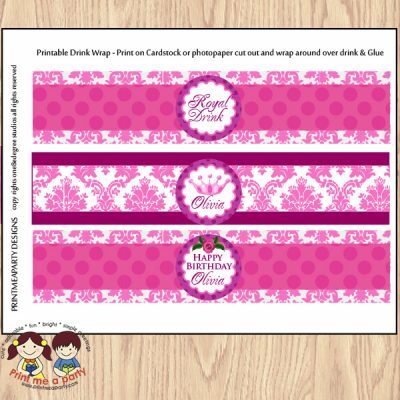 Best part is creating some favor bags for the guests, and this printable tags template came out really pretty indeed. 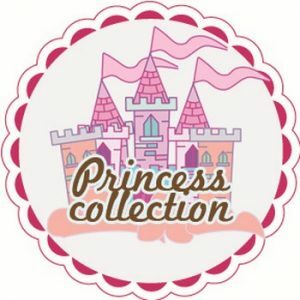 These Princess Party Favors tags work great to welcome people to your magical princess themed wedding. 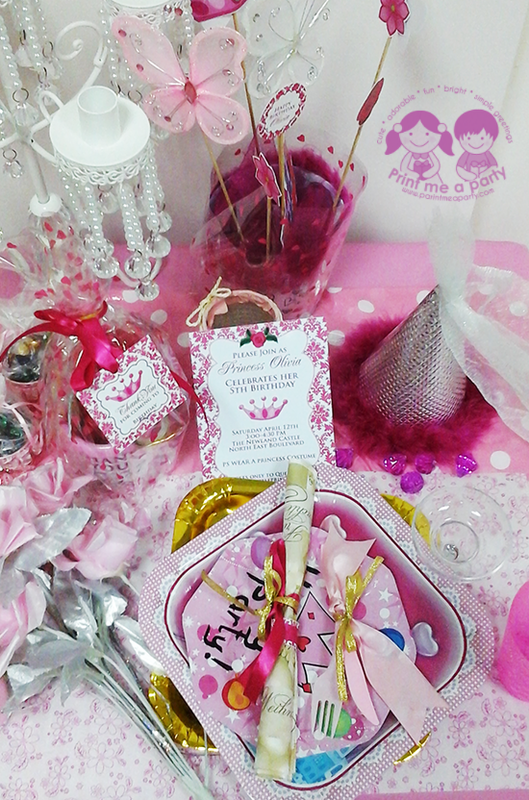 Tie them to candy or trinkets if you’re hosting a Disney princess party for your daughter’s birthday. alternatively you can even attach them to a water bottle or small gift bags to give overnight visitors who stay in your guest bedroom. However you choose to use them. 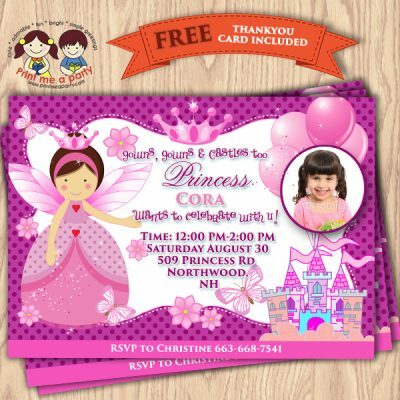 You will be able to download the printable PDF file that you can save to your computer.Once you have the file, Once you have the file, print the tags for the princess Party Favors on white card stock. 2. Cut and punch the tags for the Princess Party Favors. 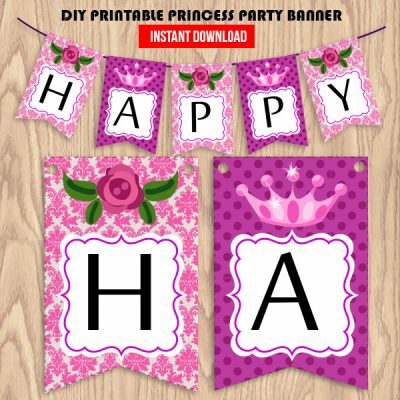 Use scissors to cut along the lines between each of the princess birthday party tags. If you want straighter lines, I’d suggest using a paper trimmer. 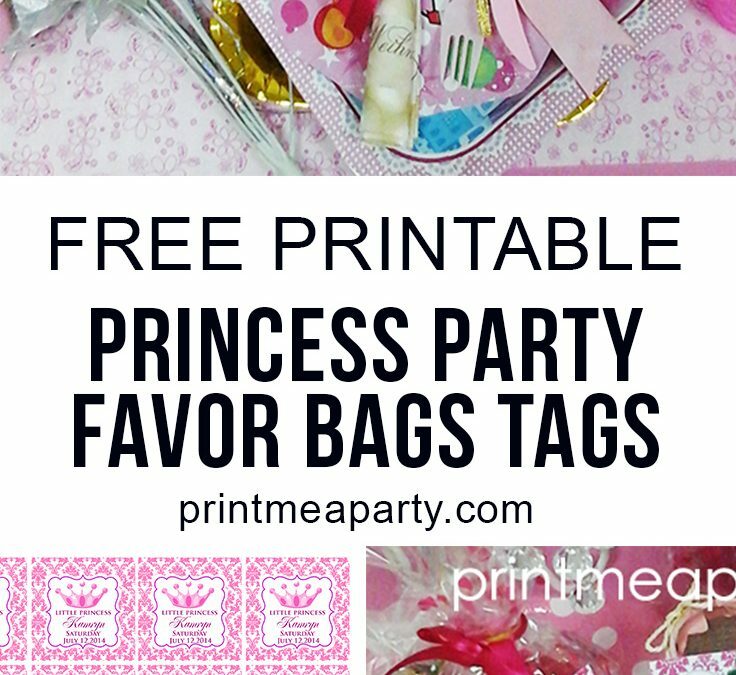 Next, use a simple hole punch to put a hole in the side or the upper left corner or middle of the tags so you can tie the tags onto the Princess Party Favors. 3. Fill the favor cellophane bags with goodies. Cut the ribbons in the desired length , I used the small 1/2 inch ribbon in pink and cut out enough for all the bags. Lace the ribbon through the tag hole. Next tie the tag around each favor bag. I prefer not to tie it too tight so the kids can easily open it. Like this post? share pin and comment to leave some love! 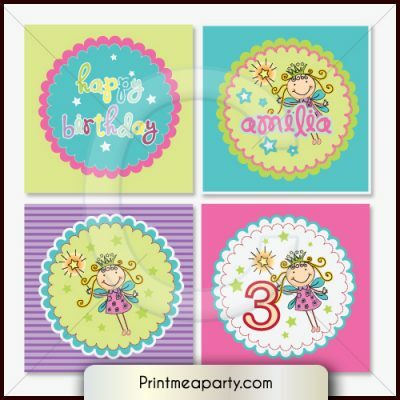 Check out these other party printable available at my shop!